For brute power, performance and style, the new Dodge Challenger is always a good idea. With a choice of potent HEMI V8 engines available, the latest Challenger muscle cars from Dodge are sure to excite any driving enthusiast! Car buyers near the cities of Crossville and Sparta, Tennessee can stop into Cumberland Chrysler to get a first-hand look at the latest iteration of Dodge’s Challenger. You can shop our complete inventory of new Dodge Challenger muscle cars in Cookeville, TN and learn all about the new Challenger muscle car here on our website. Where else to begin with Dodge’s legendary muscle car than with its powertrain? The latest Challenger comes standard with Dodge’s potent 305-hp Pentastar V6 engine, which delivers impressive performance and efficiency. Next comes the lineup of HEMI V8 engines, starting with the 5.7-liter HEMI V8; its 375 horsepower and 410 lb-ft of torque is sure to thrill! If your need for speed is even greater, consider the available 6.4-liter HEMI V8, that lays down 485 hp and 475 lb-ft of torque to the pavement. Dodge knows that for some, there is no such thing as enough horsepower and torque; that is why the Challenger SRT Hellcat exists. Powered by a supercharged 6.2-liter HEMI SRT Hellcat V8 engine, the Challenger SRT Hellcat is the most powerful factory muscle car ever produced, rated at 707 hp and 650 lb-ft of torque! A 6-speed manual transmission is available on new Challenger muscle cars, as is a TorqueFlite eight-speed automatic transmission with paddle shifters. With the latest lineup of Dodge Challenger models, drivers do not have to sacrifice convenience or technology features or refinement in their performance car. The Challenger comes available with a large Uconnect touchscreen display that puts the car’s controls at your fingertips. Drivers and passengers are sure to appreciate the Challengers available premium leather seating surfaces, power-adjustable and heated bucket seats, navigation and a rearview camera. 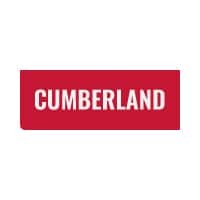 Visit Cumberland Chrysler today for a test drive; we are conveniently located near Crossville and Sparta, in Cookeville, TN. We have an auto service center for any routine maintenance your Dodge, Chrysler, Jeep or Ram may need down the road. Visit Cumberland Chrysler and get into a new Dodge Challenger today!